"Later I go looking for the beach whch is Da Nang's main attraction. Well, looks like that aint happening today so I head back and stop at a local street resto for a beer. Not long before a group of men in their 30s are beckoning me over. Im cautious but I accept. They turn out to be engineers and are perfectly legit. They invite me to share their seafood hotpot and I spend the next 4 hrs drinking beer and eating with them. Eventually they have to go home to their families about 6pm. I try to give my share of the bill but they won't have it. So generous." La Residencia Hoi An Boutique Hotel And Spa, located in Cam Pho, Hoi An, is a popular choice for travelers. From here, guests can enjoy easy access to all that the lively city has to offer. With its convenient location, the hotel offers easy access to the city's must-see destinations. La Residencia Hoi An Boutique Hotel And Spa also offers many facilities to enrich your stay in Hoi An. For the comfort and convenience of guests, the hotel offers 24-hour room service, free Wi-Fi in all rooms, 24-hour security, daily housekeeping, gift/souvenir shop. La Residencia Hoi An Boutique Hotel And Spa is home to 48 bedrooms. All are tastefully furnished and many even provide such comforts as television LCD/plasma screen, internet access � wireless (complimentary), non smoking rooms, air conditioning, desk. The hotel offers fantastic facilities, including private beach, fitness center, indoor pool, spa, massage, to help you unwind after an action-packed day in the city. Whatever your purpose of visit, La Residencia Hoi An Boutique Hotel And Spa is an excellent choice for your stay in Hoi An. Vinh Hung Emerald Resort, located in Minh An, Hoi An, is a popular choice for travelers. Set 1.0 Km from the excitement of the city, this 3.5-star hotel commands an excellent location and provides access to the city's biggest attractions. A haven of rest and relaxation, the hotel will offer total renewal just steps away from the city's numerous attractions such as Hoi An Cocoon Silk, Long Life Silk, Hoi An Night Market. 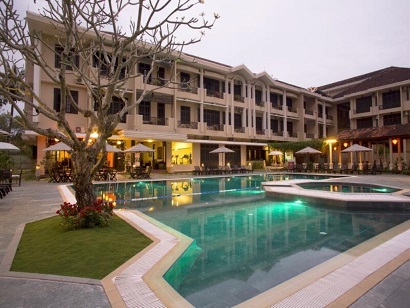 Take advantage of a wealth of unrivaled services and amenities at this Hoi An hotel. Top features of the hotel include 24-hour room service, free Wi-Fi in all rooms, 24-hour security, daily housekeeping, postal service. Vinh Hung Emerald Resort is home to 52 bedrooms. All are tastefully furnished and many even provide such comforts as television LCD/plasma screen, internet access � wireless, internet access � wireless (complimentary), non smoking rooms, air conditioning. The hotel offers wonderful recreational facilities such as fitness center, outdoor pool, spa, massage, pool (kids) to make your stay truly unforgettable. With an ideal location and facilities to match, Vinh Hung Emerald Resort hits the spot in many ways. Whether you're a tourist or traveling on business, Hoi An River Town Hotel is a great choice for accommodation when visiting Hoi An. From here, guests can enjoy easy access to all that the lively city has to offer. With its convenient location, the hotel offers easy access to the city's must-see destinations. Hoi An River Town Hotel also offers many facilities to enrich your stay in Hoi An. Guests of the hotel can enjoy on-site features like free Wi-Fi in all rooms, 24-hour security, daily housekeeping, infirmary, postal service. 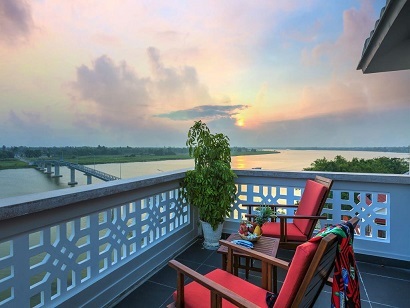 Hoi An River Town Hotel is home to 50 bedrooms. All are tastefully furnished and many even provide such comforts as television LCD/plasma screen, clothes rack, complimentary instant coffee, complimentary tea, free welcome drink. Besides, the hotel's host of recreational offerings ensures you have plenty to do during your stay. 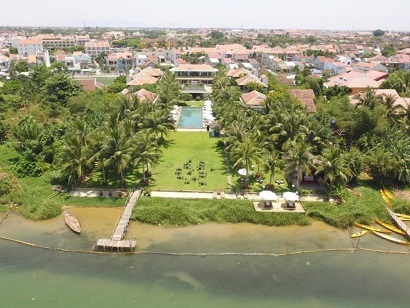 Enjoy unparalleled services and a truly prestigious address at the Hoi An River Town Hotel. Boasting 19th century colonial charm and modern amenities, business travelers and tourists will appreciate the convenience and atmosphere of this hotel. Located four kilometers from Cua Dai Beach, the Hoi An Historic Hotel is perfect for those in search of sun and sand. The rooms of this boutique hotel are beautifully decorated and include satellite television and mini bars. The restaurant serves the finest local cuisine while the newly refurbished bar mixes cocktails throughout the day. Suitable for business travelers as the conference rooms and business center are fully equipped with the latest technology. Car rental is available for visiting nearby locations like the Museum of Trade Ceramics and Bach Dang. The tour desk, fitness center, and art gallery all add to the convenience of staying at the Hoi An Historic Hotel. 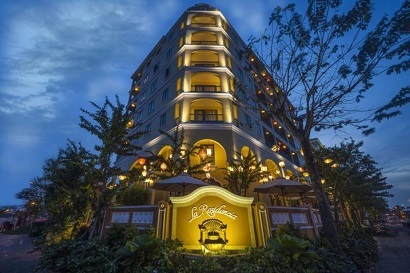 Well-positioned in Thanh Ha, Essence Hoi An Hotel & Spa is the ideal point of departure for your excursions in Hoi An. With its location just 0.5 Km from the city center and 35 Km from the airport, this 4-star hotel attracts numerous travelers each year. No less exceptional is the hotel's easy access to the city's myriad attractions and landmarks, such as Tay Do Cloth Shop, 79 Tony, Cao Dai Pagoda. Offering hotel guests superior services and a broad range of amenities, Essence Hoi An Hotel & Spa is committed to ensuring that your stay is as comfortable as possible. Top features of the hotel include 24-hour room service, free Wi-Fi in all rooms, 24-hour security, daily housekeeping, gift/souvenir shop. 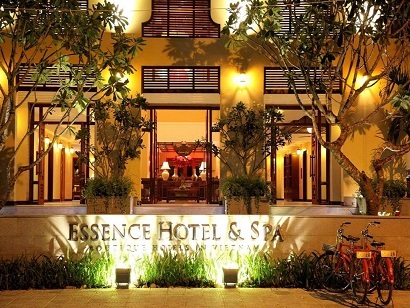 Essence Hoi An Hotel & Spa is home to 70 bedrooms. All are tastefully furnished and many even provide such comforts as complimentary tea, wooden/parqueted flooring, slippers, television LCD/plasma screen, mirror. The hotel offers an excellent variety of recreational facilities, including hot tub, fitness center, sauna, golf course (within 3 km), outdoor pool. Whatever your reason for visiting Hoi An, the Essence Hoi An Hotel & Spa is the perfect venue for an exhilarating and exciting break away.